This program is a very simple history book of your financial activities. 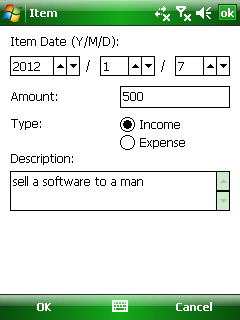 By this program you can keep the record of your income and expense on your pocket PC. 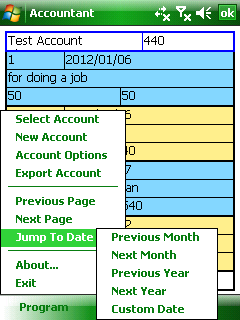 This program also supports Persian date. 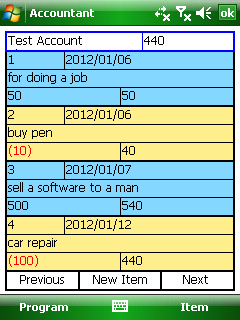 You can export account files as HTML, CSV and TXT files. 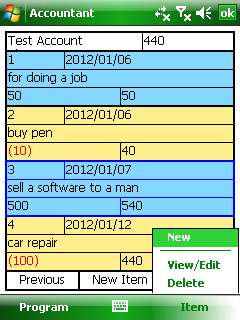 This program is made by Basic4PPC. If you want to buy the program source code, click the below link to add it to your shopping cart. After making the payment the source code will be sent to your email address in 2 days.